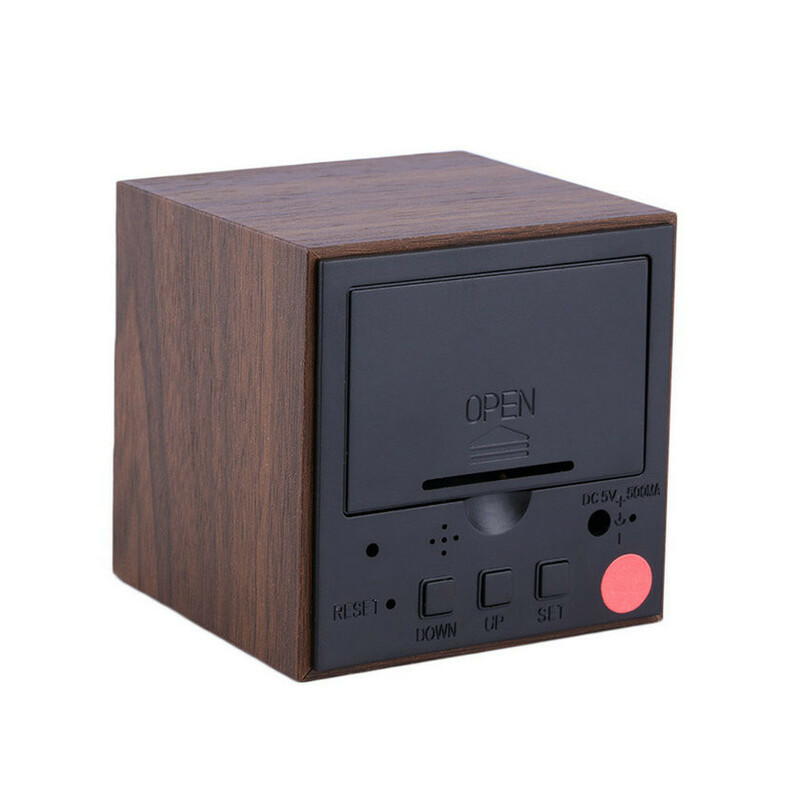 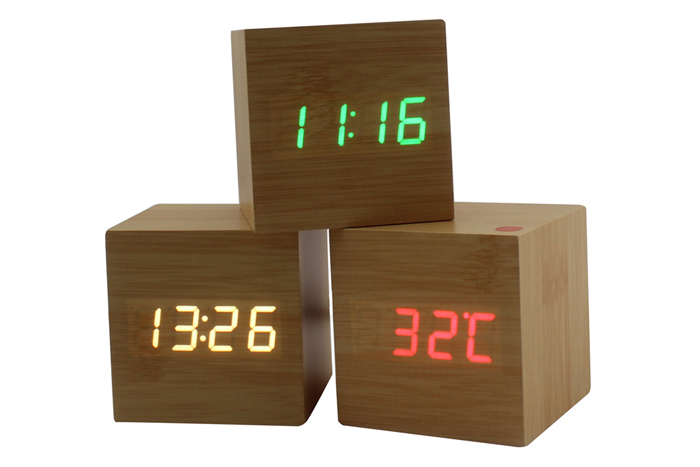 This wood grain LED desk clock beautifies your office or home with its contemporary design and makes a great decorative piece. 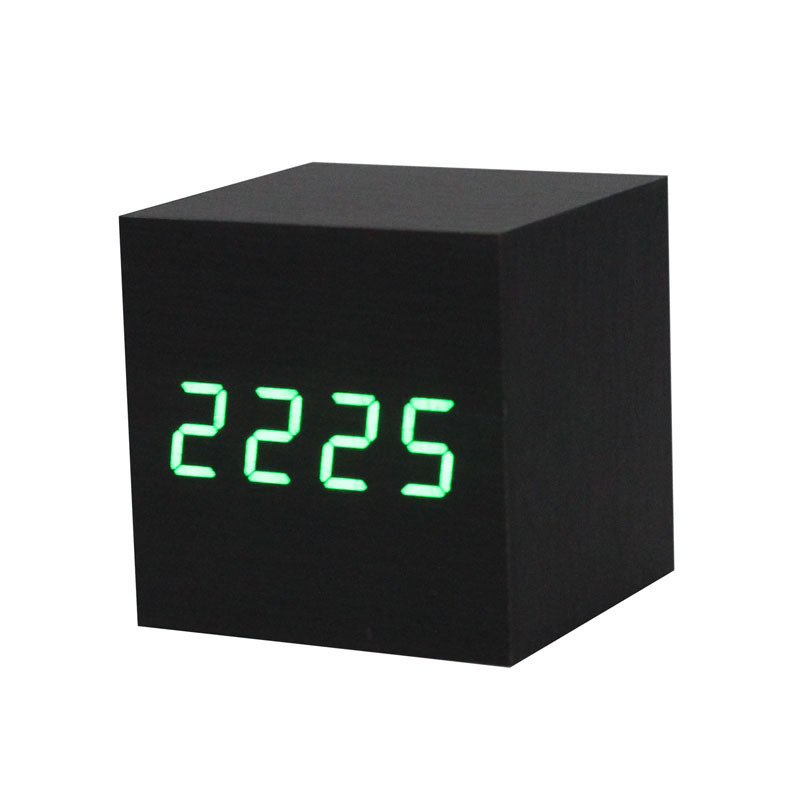 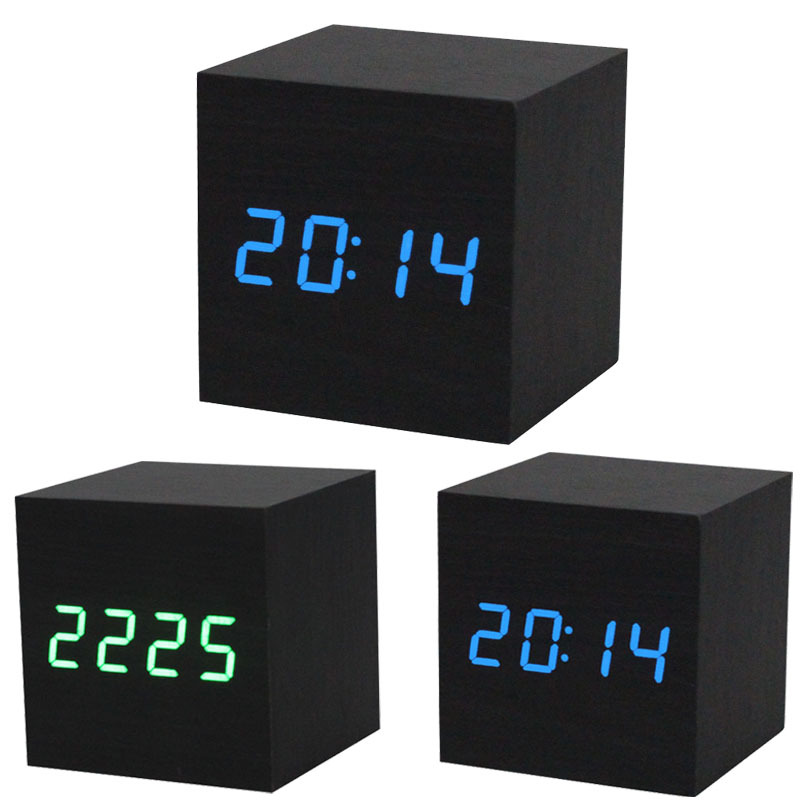 Also functions as an alarm, clock, and temperature display with adjustable brightness. 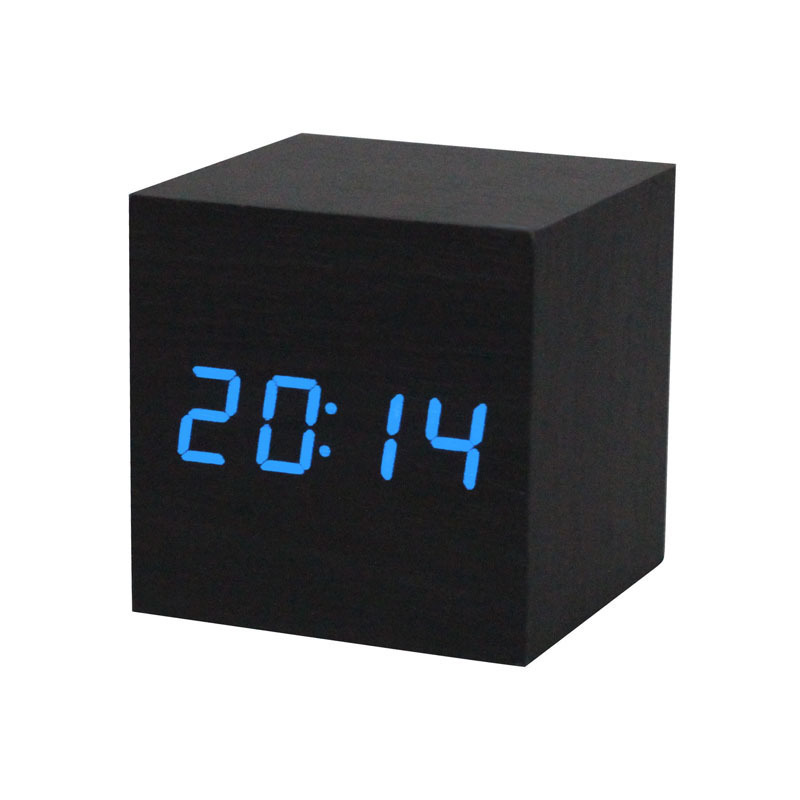 Powered by batteries(not included) or usb.